@Rusiru the error message does say not enough space left on the device, so free up some space and try again. 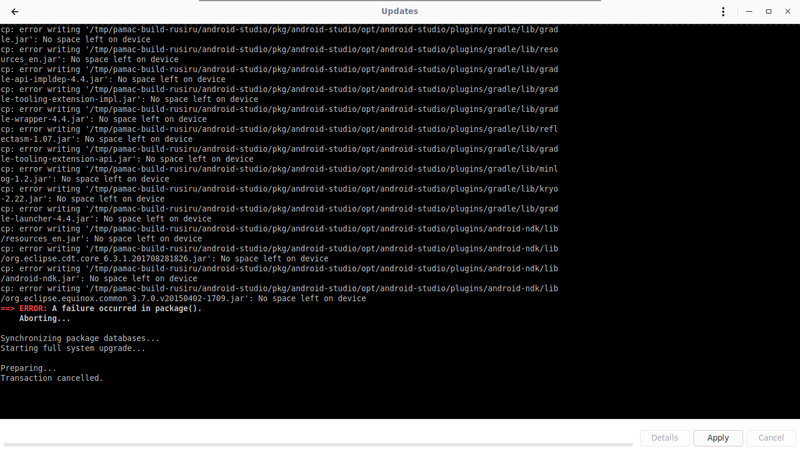 Seems that /tmp partition is too small. As @manuel say tmpfs is using swap as temp space, and by default is limited to the size of your swap… Wiki gives instructions to change the limit so that it is like a file under your root filesystem.